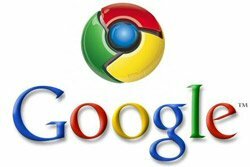 Google Chrome Is Great – Here’s How To Make It Better! The Web browser Google Chrome has been a smashing success: To date, Google’s browser could have up to 34% of the browser market. Because of its great success, many alternatives have hit the market based upon the Chrome concept, and many of them offer some interesting features and major differences. A basic Chrome installation, even with extensions included, just cannot provide the same sort of functionality of the Chrome derivative market. SRWare Iron: This browser was designed with user privacy as the most important feature. Many people are less than thrilled with the amount of data that Google can track when you use Chrome. SRWare Iron provides great solutions for this. Chrome staples that lead to information of yours being gathered against your will, include search suggestions, installation tracking, and error reporting. These features do not exist in SWAre Iron. Chrome CAN be configured to offer more privacy, but some of the options cannot be easily changed. It is understandable that Google wants our information, but it would be great if Google would just allow us to shut off the tracking features – quickly and easily. RockMelt: This browser launched in 2010 for the Mac, and it evolved the concept of a social web browser. It integrates Facebook and Twitter so that it makes it simple to share/discuss Web content. You now can obtain several social extensions in the Chrome Web store, but it would be better if Chrome were redesigned from the ground up to be a real social browser. For example, there is not a very good way in Chrome to get updates from your friends in a simple way. Robin: This little browser has not gone far, yet. But it has a good idea in it: the dock. Google did introduce installable Web apps in 2010, but there still is no good way to launch and switch between them as you browse. Robin lets you have a dock attached – permanently – to the left side of your browser. It makes it easy to launch and switch Web apps, but navigation also is integrated. So, if you launch the Tumblr Web app, you can easily switch between the editor and dashboard. Each of these derivatives from Chrome might not alone be revolutionary, but they are some excellent ideas that Google should consider in a Chrome redesign.